If you are planning a road trip to Manali, WooCabs will prove to be the best option for you. We at WooCabs offer the best car rental service in the country. Book a cab from us for your trip at a very decent price. Manali is a beautiful city and is the busiest during the peak holiday seasons. 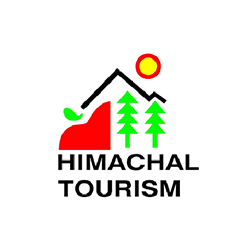 The city is situated in the heart of the Himalayan Shivalik Range in Himachal Pradesh. People visiting Manali can visit various temples visited all around the city and can also enjoy various adventurous activities, for instance, trekking, river rafting in Manali and Kullu Vally and many others. Kullu and Manali are very beautiful cities situated in the bank of river Beas. Most travellers while planning their trip to Manali, also include Kullu and Rohtang pass visits. At WooCabs, we offer a wide range of car rental service packages. We offer economy, premium as well as luxury cars to our customers. Our drivers are highly professionals and we ensure a safe journey from Delhi to Manali. We also make sure that our customers have a comfortable and memorable journey. Book Delhi to Manali taxi service with us and enjoy your ride to your destination. The distance between Delhi to Manali is around 500 Km and can be covered by road trip very easily. It takes around 10-12 hours to reach Manali from Delhi, however, the travel time also depends on the amount of traffic on road. Some of the popular cities that you will cross on your way to Manali include Ambala. Kiratpur, Chandigarh, Panipat, Sonipat and Kull. At WooCabs you will get the best car rental service packages for your road trips which also includes sightseeing. While looking for Delhi to Manali car rental service options on WooCabs, you will get various car model options to choose from. Each car model is perfect for a specific kind of traveller, we have options for both people travelling in a group and people travelling alone as well. To know more about the car rental service offered by us, please continue reading! Our car rental service is extremely affordable and you can choose a car model depending on your travel needs. On your way to Manali, you can stop anywhere you want, take some rest and start again feeling refreshed. We at Woocabs, offer both Delhi to Manali one way taxi service and round trip as well. Car rental service packages offered by us are extremely affordable and everyone can avail it. Depending on your stay at a place, you can choose a package for yourself. Also, we would like to mention that if you are planning to stay somewhere for some days and at the same time you are on a budget, you can choose the one-way service offered by us. One-way car rental service packages are very cheap compared to round trips. If you are on a budget and is also looking for a reliable car rental service provider, WooCabs is the best option for you. Our car rental packages are curated keeping in mind the travel needs of people. We keep updating our website from time to time and launch some seasonal packages. To ensure that you get the best package, make sure that you keep checking our website time. Our basic fare starts from Rs 9/km; however, the basic rate also depends on the destination as well. Below we have shared information regarding our billing procedure. We maintain a very transparent billing policy and we ensure that our customers pay only for the service they are availing from us. There is no hidden charge included. You can choose to pay before the trip in advance or you can also choose to pay once you are done with the trip. For any other query regarding our Delhi to Manali travel packages, call our customer service by dialing (+91) 9779-390039.